This preview is only done from a small portion of the game – I was essentially sent the first episode or chapter of the story, but it was enough to give a good feel for what the entire project will be like. This preview will not include any spoilers, and I cannot publish any pictures of my own lest I give anything away. I will, however, use pictures taken from their webpage/campaign page. The story: “The time is at hand” (Revelation, 1:3) You receive a box sent by a serial killer called Abaddon, the Angel of Death from the Bible. 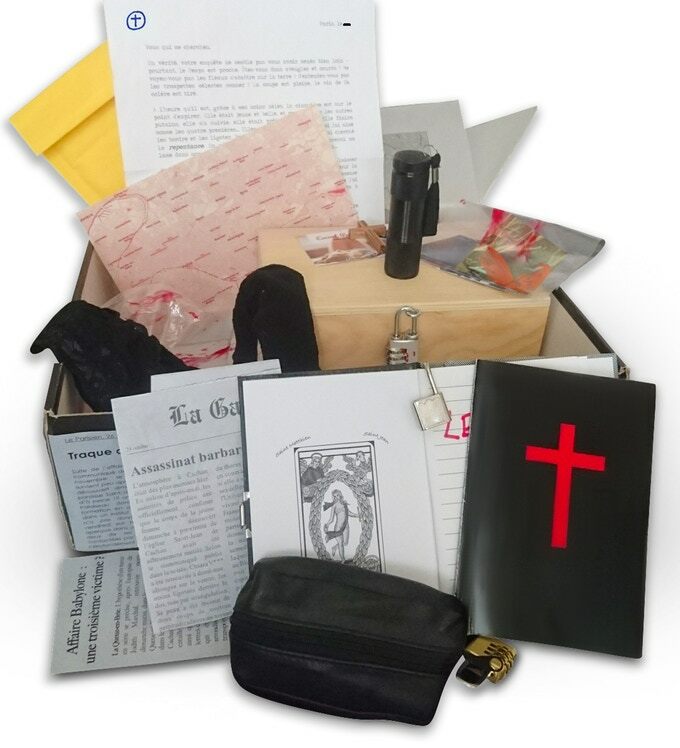 Inside the box: several clues, The Book of Revelation, a personal diary, and various objects and documents will set you on the track of the fanatic killer: will you find the fifth victim in time? The investigation plunges you into an atmosphere of fear and mysticism, with a tinge of erotica, a cross-over between “Seven” and “The Da Vinci Code”. The neat part about this particular escape room game is that many of the components are hand-made. The contents of the envelope that I had included a number of puzzles as well as some ancillary information contained on pictures and newspaper clippings. You will need to have access to a smartphone or computer while you play the game as the instructions and hints are all available online. Some of the puzzles may require you to search for things on the internet, and some of the puzzles will have their answers submitted via a website. So, it’s hard to talk about a game that I have only seen the first portion of – and even harder when I don’t want to spoil any of the puzzles contained within the portion that I saw… But I’ll still give it a try! The puzzles here were very challenging for the genre. At least one of the puzzles that we saw required a fairly large lateral leap of thinking to solve. I would say that the difficulty was at the level of the Unlock! series or possibly harder. There were fairly detailed online hints available, and we did require them for the one lateral thinking puzzle that none of the four of us saw initially. The hints were given in piecemeal fashion, and we were able to get back on the right track with a small nudge or two. I would definitely recommend this for more veteran puzzlers. The theme is also a bit macabre, so you might not want to play this with young kids either. Though I don’t know how long the entire game will be – this first section took us about 45 minutes of solving. There was a nice variety of puzzle types using both physical and Internet-based components. 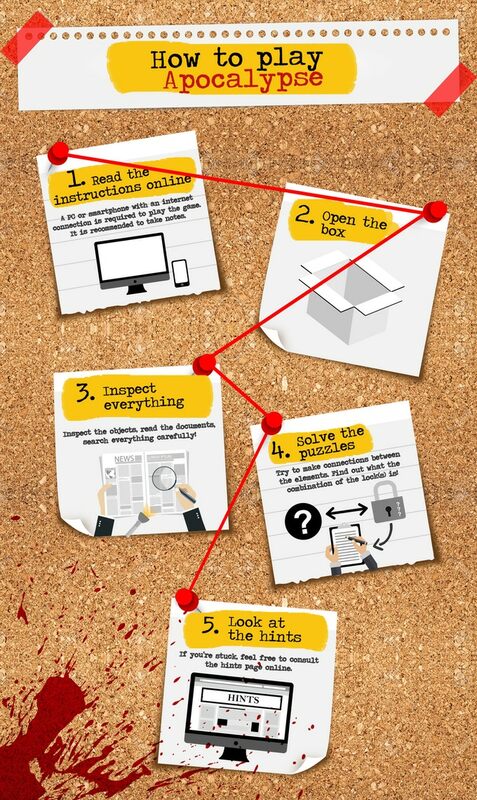 This format really gave the game a depth which is missing in some of the other escape room games that we have tried. OF course, there is more possibility for things to go wrong when you have to rely on the Internet, but we had no issues with the elements used in this scenario. The presentation and theme is quite nice, and the handmade bits are well-done. Normally, I might worry a bit more about this sort of component, but I have been assured that every kit is at least double checked for accuracy and completeness. Again, we had no issues with the components, but this is something to consider with anything being made by hand. 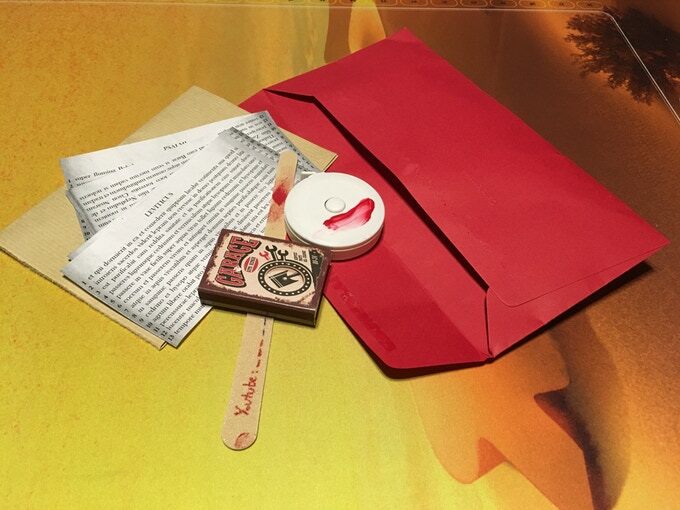 I’m intrigued by the initial taste given in the envelope that I received, and I will look forward to see how the rest of the project turns out. If you’re looking for a very challenging puzzle experience, I would certainly give this a look!